There are a variety of whitening options available today, and one of the main differences between them is how quickly they deliver results. If you want your bright new smile immediately, you might consider an in-office Zoom! procedure. With this option, you’ll come in for a 1-hour appointment and leave with your final result. If you prefer to whiten more gradually, a take-home option will work great. It involves filling custom-made trays with a professional-strength whitening gel and wearing them at home for 30-60 minutes a day, for about 10-14 days. Average treatment time is less than braces (between 6 -18 months instead of 24). The trays are removable, so it’s much easier to maintain good oral hygiene during treatment. Wearing clear plastic trays is much more comfortable than brackets and wires. 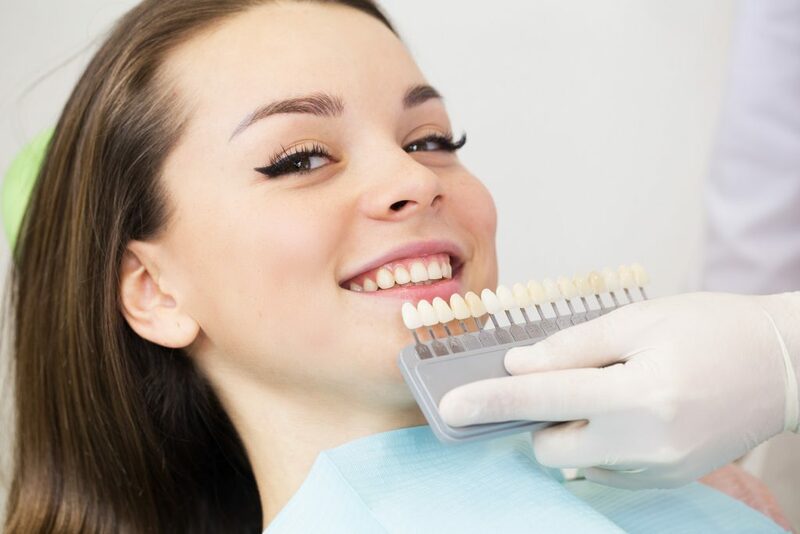 Using the same material that’s used for tooth-colored fillings on the back teeth, cosmetic bonding is a great way to fix fairly minor imperfections on the front teeth such as small chips, cracks, cavities and discolorations. What’s the First Step of a Smile Makeover? If you’re interested in a smile makeover, the first step is to schedule a consultation with a cosmetic dentist. In some cases, they may recommend a simple cosmetic bonding procedure. In others, more than one procedure may give you the results you’re after. Either way, you’ll be one step closer to having the gorgeous smile you’ve always wanted in 2019! Dr. Larry C. Young is a general and cosmetic dentist who combines modern technology with an artistic touch to provide his patients with outstanding cosmetic results. He always begins every smile makeover with a thorough consultation so he can understand exactly what his patients are looking for. If you’d like to enhance your smile and have any other questions, he can be contacted through his website or at (904) 731-9833.